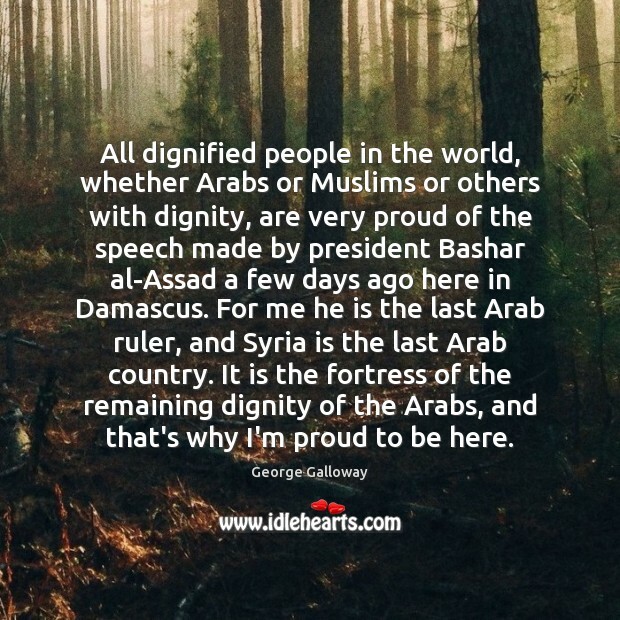 Quotations about Bashar Al Assad. Quotes to stimulate mind and drive action! Use the words and quote images to feed your brain inspiring things daily! 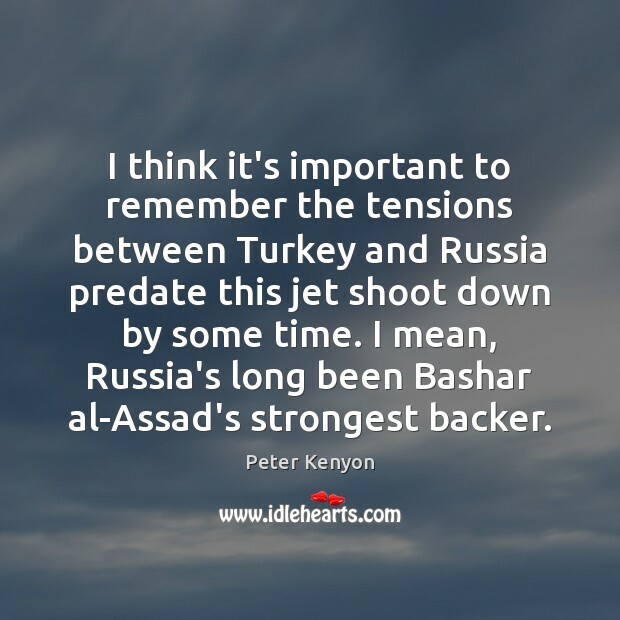 I think it's important to remember the tensions between Turkey and Russia predate this jet shoot down by some time. I mean, Russia's long been Bashar al-Assad's strongest backer. Hillary Clinton failed to mention that her agreement with a precipitous withdrawal and declaration of victory in 2011 helped left swaths of territory and weaponry from ISIS. She failed to mention that she described Bashar al-Assad as a positive reformer and opened an American embassy. 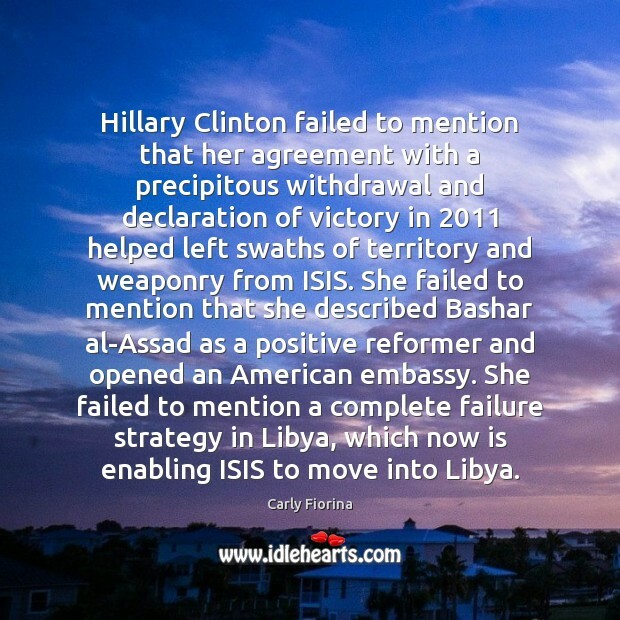 She failed to mention a complete failure strategy in Libya, which now is enabling ISIS to move into Libya. Hillary Clinton has gotten every foreign policy challenge wrong. 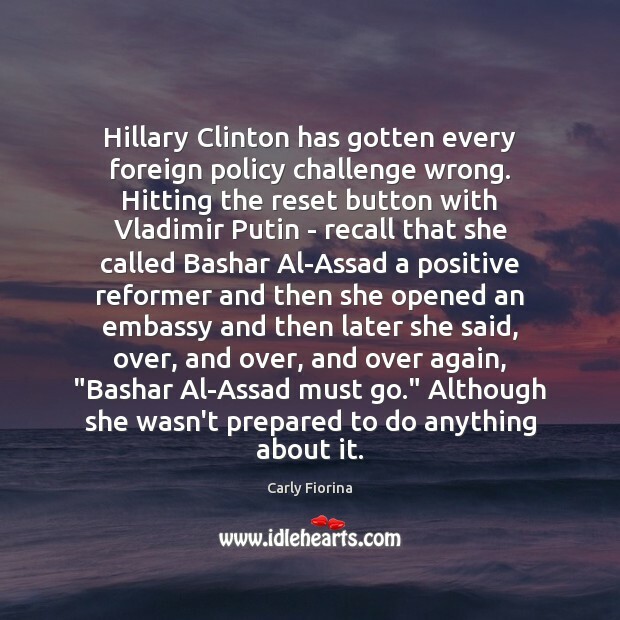 Hitting the reset button with Vladimir Putin - recall that she called Bashar Al-Assad a positive reformer and then she opened an embassy and then later she said, over, and over, and over again, "Bashar Al-Assad must go." Although she wasn't prepared to do anything about it. 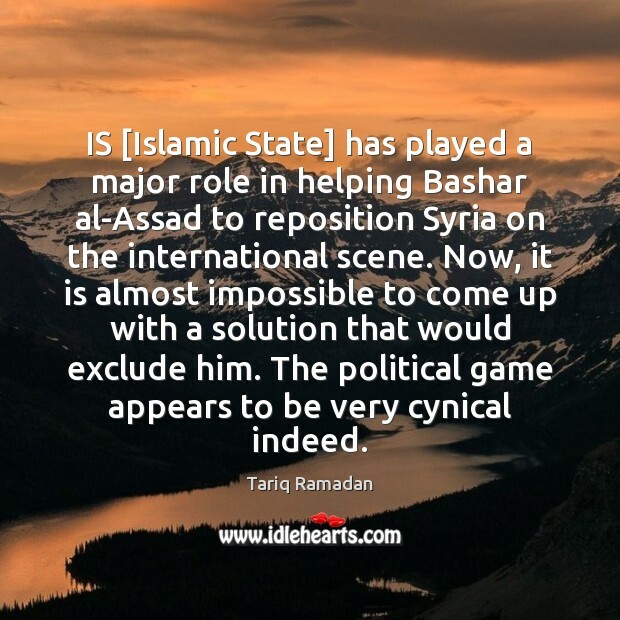 IS [Islamic State] has played a major role in helping Bashar al-Assad to reposition Syria on the international scene. Now, it is almost impossible to come up with a solution that would exclude him. The political game appears to be very cynical indeed. 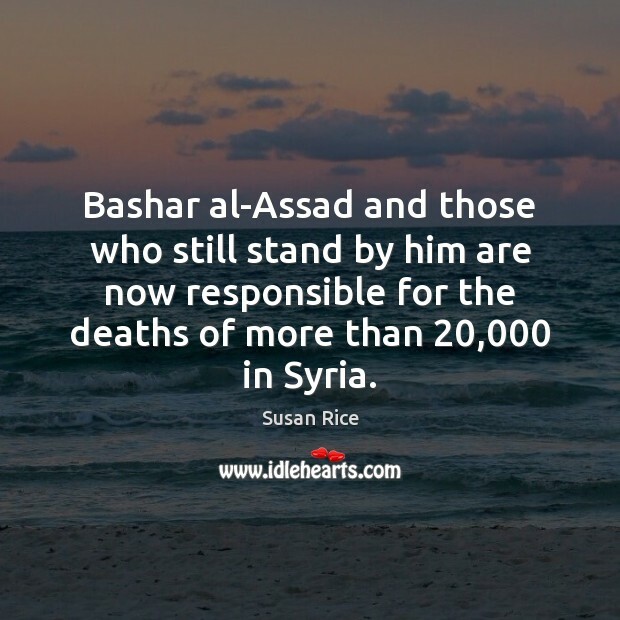 Bashar al-Assad and those who still stand by him are now responsible for the deaths of more than 20,000 in Syria. 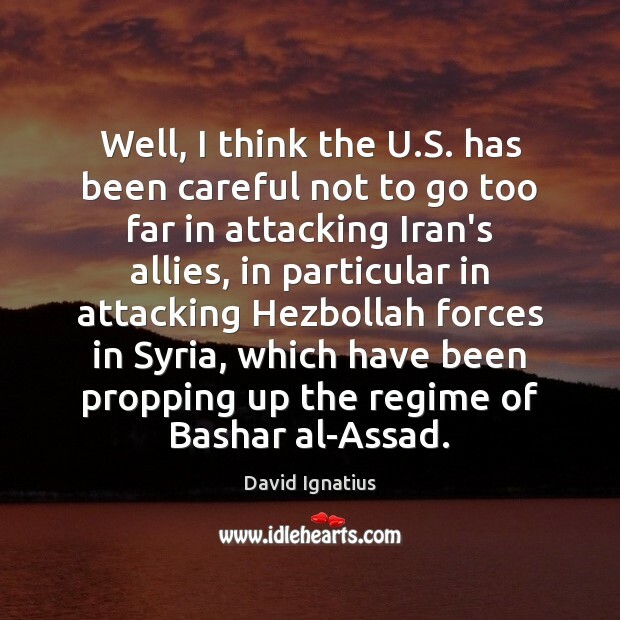 Well, I think the U.S. has been careful not to go too far in attacking Iran's allies, in particular in attacking Hezbollah forces in Syria, which have been propping up the regime of Bashar al-Assad. 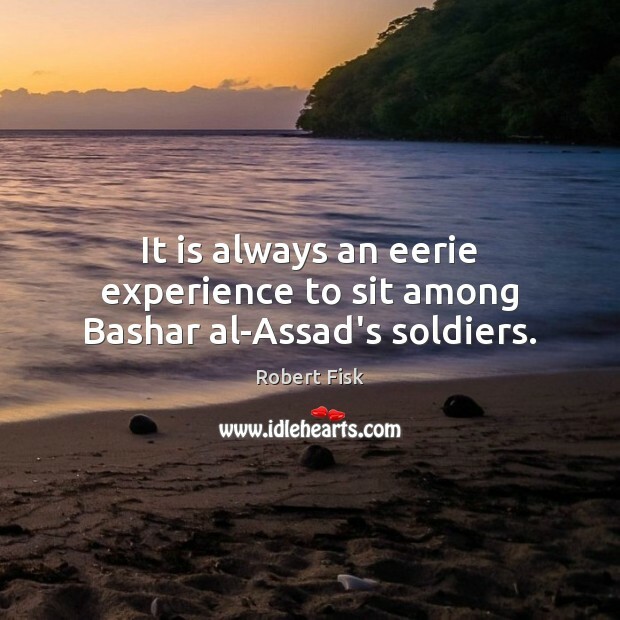 It is always an eerie experience to sit among Bashar al-Assad's soldiers. 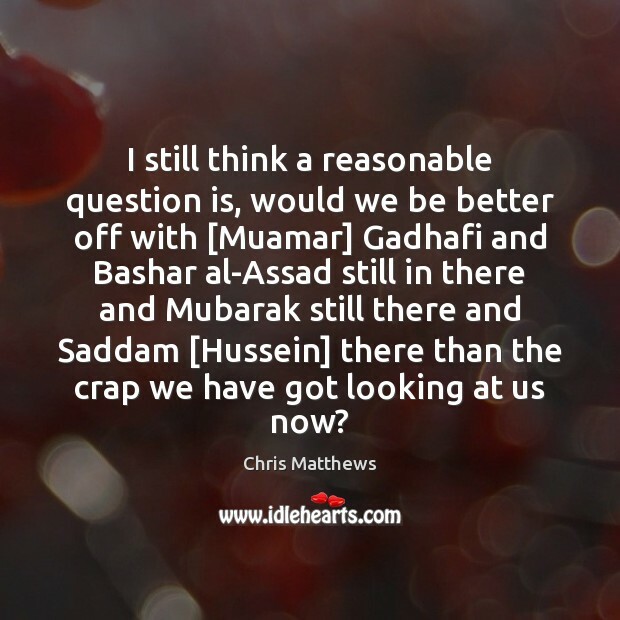 I still think a reasonable question is, would we be better off with [Muamar] Gadhafi and Bashar al-Assad still in there and Mubarak still there and Saddam [Hussein] there than the crap we have got looking at us now? Syria is lucky to have Bashar al-Assad as her President. 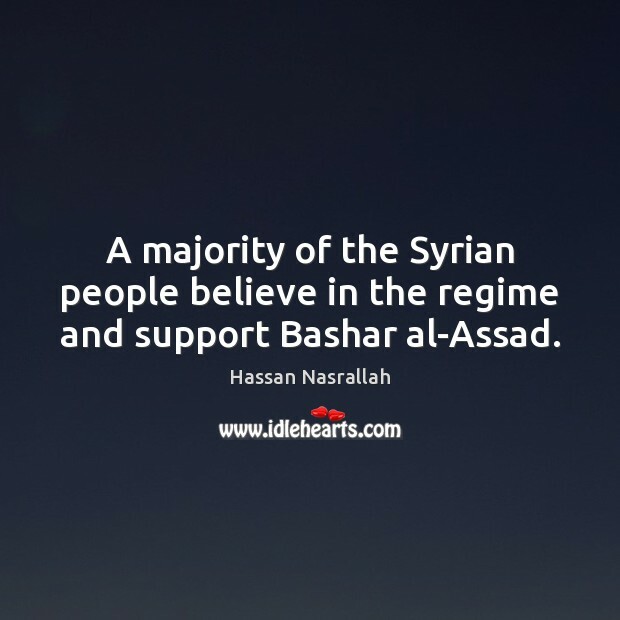 A majority of the Syrian people believe in the regime and support Bashar al-Assad. Russia went into Syria basically to support President Bashar al-Assad. 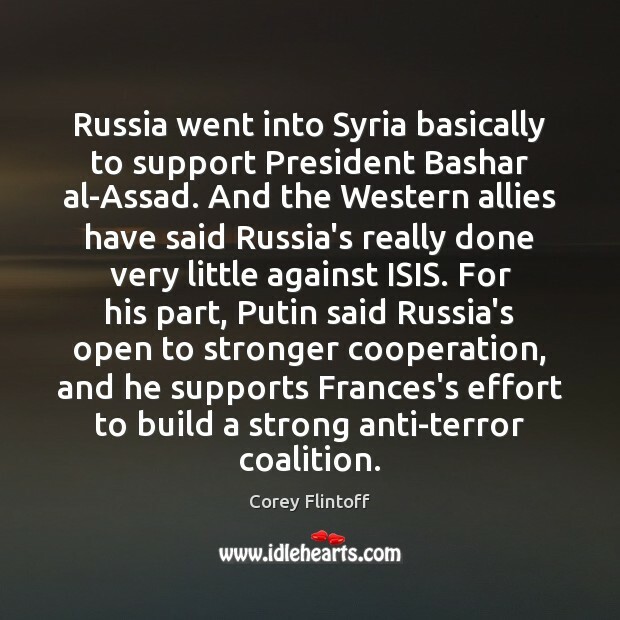 And the Western allies have said Russia's really done very little against ISIS. For his part, Putin said Russia's open to stronger cooperation, and he supports Frances's effort to build a strong anti-terror coalition. 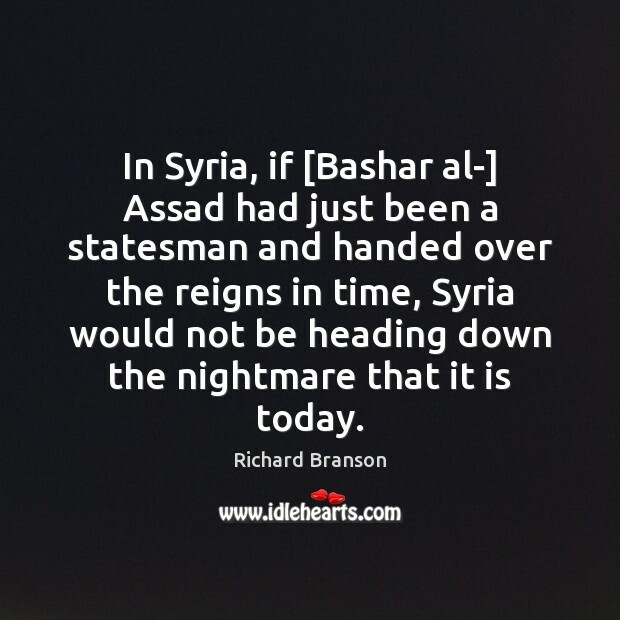 In Syria, if [Bashar al-] Assad had just been a statesman and handed over the reigns in time, Syria would not be heading down the nightmare that it is today.